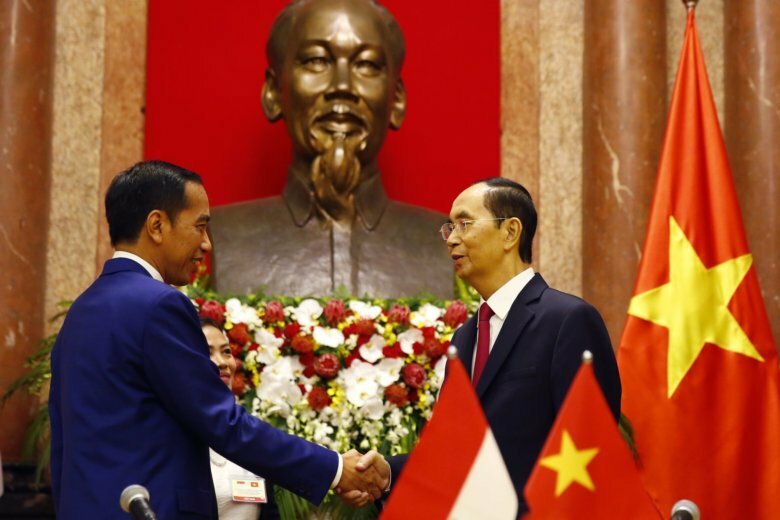 HANOI, Vietnam (AP) — Indonesian President Joko “Jokowi” Widodo said Tuesday that his country and Vietnam have agreed to cooperate more in fighting illegal fishing and hope to boost two-way trade. “We are committed to continue to strengthen cooperation in trade which over the past three years has seen a relatively good trend,” he said through a translator. “We have agreed to boost cooperation in fighting illegal fishing,” he said, adding he hopes the two sides will soon complete their negotiations on the demarcation of their exclusive economic zones.